Our members enjoy a full 19 week season of fresh produce, herbs, fruit, and flowers and eggs by request starting in mid-June. You can expect to receive a weekly email newsletter loaded with information about the farm, an introduction to the vegetables you are receiving, recipes and nutritional information. We offer you two sizes of shares, large and small so that you can choose the one that best suits your needs. We deliver to various drop-off sites across the South Shore and in to Halifax every Tuesday. And we are always open to those who are interested in picking up at the farm so that you have the opportunity to visit our sheep and chickens and the hard working folks who are making this all possible. Throughout the season we host different events that welcome people to our farm. This year we are once again offering a number of free events specifically for the CSA members to introduce them to the farm and the work involved in growing and harvesting your food. We are also offering a 5% discount to CSA members who choose to attend any of the other workshops that we are hosting from basketry to season extension workshops. A brief description below outlines what to expect from your membership. Feel free to call us for more information. Full size share: 19 weeks starting in mid-June of vegetable and herb bounty, as well as eggs and flowers upon request. When available, this basket also includes occasional fruits (i.e. peaches, blueberries, currants). This share is suitable for a couple who enjoy lots of fresh produce, cook mostly at home and occasionally entertain, or a family of three or four who enjoy healthy eating. Cost: $560.00 or the equivalent of spending $29.50 per week. Take advantage of our extra early bird discount by paying $535.00 in full by November 30th and reserve your spot now for the coming season. You can also choose to pay a deposit of $300.00 with the balance of $260.00 due by April 1st. Small Share: 19 weeks from mid-June of a wide variety of vegetables, herbs, and flowers and eggs upon request. When available, this also includes occasional fruits (i.e. peaches, blueberries, currants). This size share is suitable for people who grow some of their own veggies but not everything; or one person cooking for themselves; or a couple who eat away from home farily often or don't consume many vegetables. Cost: $420.00 or the equivalent of spending $22.00 per week. Don’t forget the extra early bird discount if paid in full by November 30th of $395.00. Or choose to pay a $260.00 deposit and the balance of $160.00 due by April 1st. 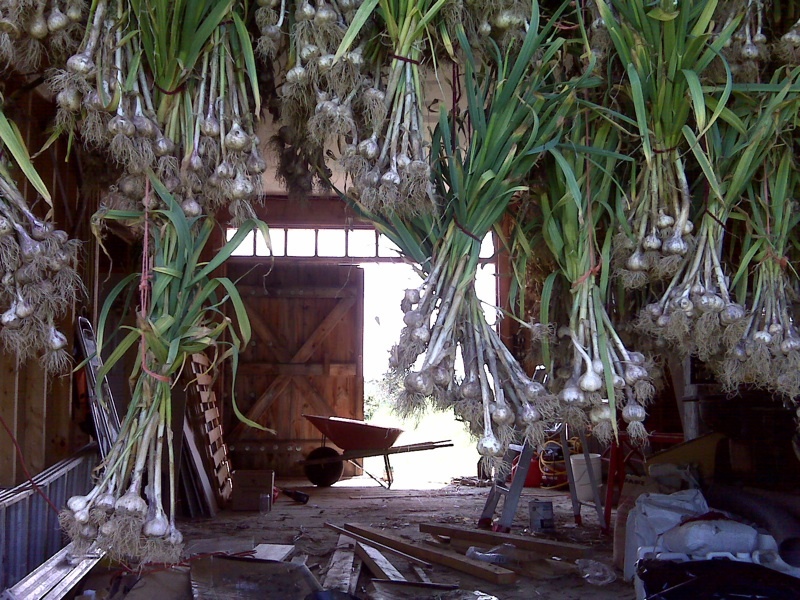 Work Share: We want to to offer some folks the opportunity to help pay for their share of vegetables by working at the farm. Please contact us by email so we can work out the details of an arrangement that makes sense for all of us. Summer Share: This is our way of accommodating all those who summer in NS but leave early in the Farll. Sign on for 6-8 weeks with flexibility to work around your holiday schedule. Monthly WInter Share: Starting on November 2013 and running once a month through the WInter, we offer our members a share ytthat allows you to tailor your delivery to your needs and pay for your produce as you go. 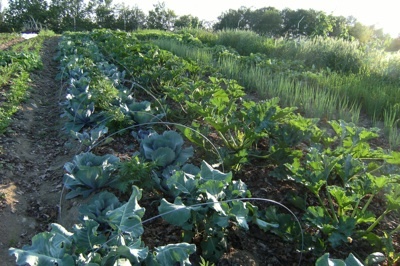 Bulk carrots, potatoes, leeks, onions, garlic and other staorage crops will be augmented with greens, herbs and eggs. We will list available produce each month on the registration page where you can order and pay. Flower Share: Our beautiful exuberant bouquets are a wonderful addition that keeps you smiling all week. Purchase a share and receive five weeks of bouquets - you can always purchase a second or even third share as the season continues and the blossoms keep coming. What a wonderful present for someone you love - might even be yourself! Egg Share: Our delicious eggs come from our free-range Happy Hens, fed only certified organic grain and always fresh. One share entitles you to five weeks of eggs and you can always sign on for more shares as the season progresses. Expect to see some interesting colours and even shapes as our mixed and heritage breed hens are very artistic. Community Shared Agriculture (CSA) is a partnership between community members who want to eat healthy, fresh and seasonal local food and the farmers who want to get to know their community and feel supported in their work of producing food, revitalizing the soil and constantly improving the diversity and health of all living beings on their farm. Shareholders' commitment to crops planted and tended is particularly valuable early in the season when farmers' investments are highest and income is most scarce. The CSA model also helps the farmer through the vagaries of weather and other fluctuations, while also allowing the partners to benefit from the bounty that nature (and hard work) can bestow. For instance, there may be fewer tomatoes one year because of difficult weather patterns or insects, but these same conditions produce a bumper crop of melons. The Shareholder gains from their close association with a food source they know and trust, while the farmers benefit from a more financially stable arrangement, where their environmental stewardship is rewarded and they are assured that the food that they plant, tend and harvest will feed appreciative people. More broadly, the model nourishes community by creating healthier ecosystems, fair financial exchanges, and the critical support of a secure and local food source. Culturally, the relationships between the shareholders and farmers create an ethos of trust and knowledge exchange, fostering a more intimate relationship between people and food, as well as between people within their communities. The Watershed Basket CSA is also committed to contributions to the community that it serves through initiatives such as subsidized food shares, regular donations of food to The Ark in Bridgewater, school field trips, edible schoolyard projects and accessible on-farm workshops and events as well as apprenticeships for future farmers. Through the weekly newsletter and farm events throughout the season, the shareholders will have the opportunity to connect to the land and the people who feed you, discover new recipes - and even new vegetables - as we stretch into diverse heirloom and heritage crop varieties. You will also have the chance to connect to the growing community who have formed around this reciprocal relationship and perhaps find new friends or meet up with old friends. We plan to stay in touch and learn what is working well for the shareholders and what can be improved. Likewise, we will share our concerns as the season progresses, so the arrangement can best reflect the needs of all involved. This is our third year and we are grateful for the feedback and support we received last season from our wonderful shareholders. I dragged Lisa out into the rain Tuesday to get my bag this week from the barn. It was certainly worth the effort. The tea was especially welcome when I arrived home to dry off. You are right, the carrots did not make it to the fridge – they were gorgeous. The greens are also beautiful and I am trying them in all kinds of new ways. Today I am making garlic scape pesto. Just wanted to let you know how much we are enjoying our weekly surprise basket. I mean really... who doesn't enjoy a surprise! IF I can manage not to eat them all before Saturday, I plan to take my carrots to NFLD with me, maybe the beets too. The one down side of visiting The Rock is the lack of fresh fruit and veggies so I have baggies of trail mix with loads of dried fruit, and the raw veggies will heaven to munch on during those first few days. I had to ask my mom to pick up my delivery in Mahone Bay yesterday because I was off to the city unexpectedly. Yikes! They say a rolling stone gathers no moss. Thank you very much for accommodating my rambling schedule!!!! I ate the beets and beet greens this evening for supper and they were SOOOOOOO good. I made a special trip out to get butter to put on them and that was definitely a good idea. The Herb Salt is amazing! My cat seems to like the smell of it. I think he thinks it is cat nip. Thanks for the wonderful illustrated email as per usual. Loved the herbed salt in our bag last week. We just wanted to thank you for the wonderful tour of the farm last saturday, it was very generous of all of you to give of your time that way, we now have a deeper appreciation of the human effort and gift of the land as we prepare our food each evening. Thank you so much. And it was so hot! nothing has ever been as much fun and as good as these eggs. I still remember the delight of your first radishes; are any more likely to come? They are stars!